This is a wonderful keepsake baby gift basket for baby boy. It starts with an attractive and useful linen storage basket. The basket makes a handy addition in the nursery to help keep baby's room neat and organized. But best of all, the basket comes filled with adorable plush & lush items to give the new baby lots of cuddles and hugs! 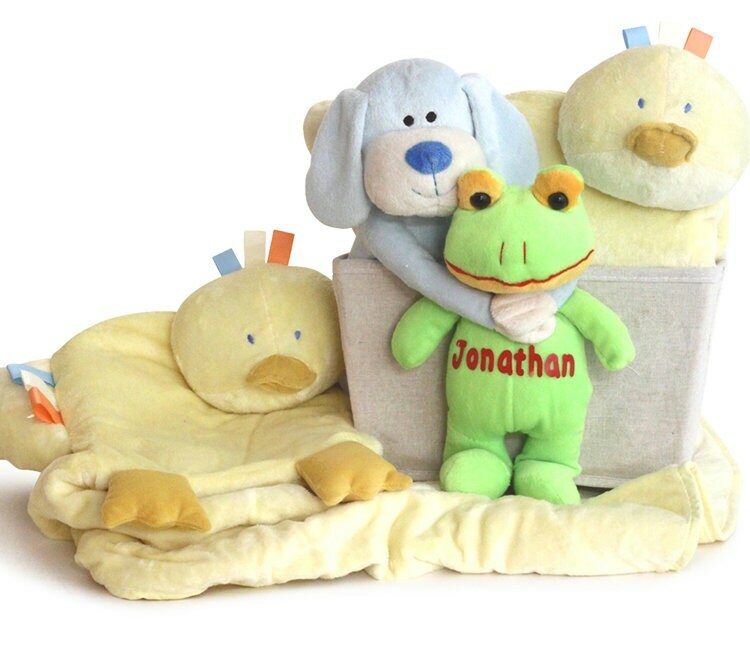 Blankie Buddies are incredibly soft, plush and large enough to be used as a cushioning floor mat for baby.